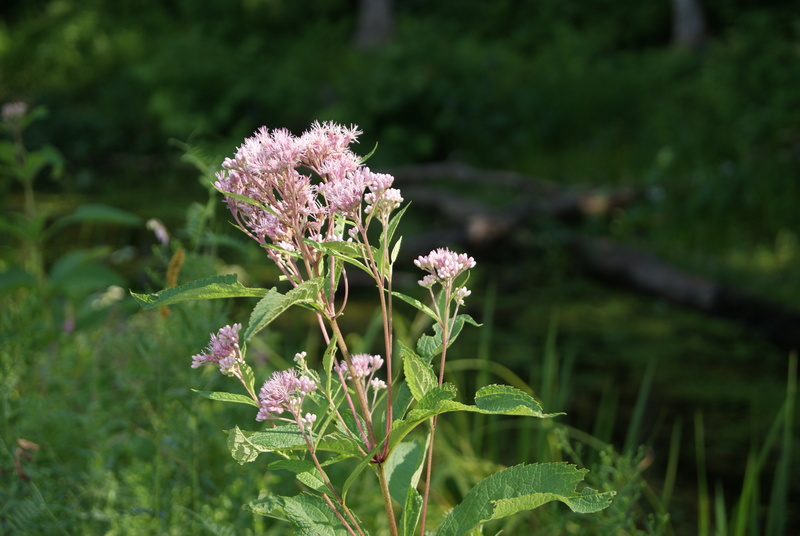 Joe Pye Weed grows along the shores of lakes and rivers, preferring damp places with rich soil. The letter J is pronounced as a soft g or “dzh”, regardless of the following letter. In some words and names of foreign derivation, a j is pronounced as a y. There are no silent Js in English, except where foreign words have been adopted. Create a sentence with as many J-words as possible. Two kinds of Joe Pye Weed are common in our area: spotted and sweet. The spotted variety has purple spots on the stems; the sweet smells of vanilla if you crush it.